In this post, we’ll outline how supplemental health insurance can provide coverage for the financial gaps in your existing health plan. There’s no denying that most Americans are feeling the pinch of high health insurance coverage costs. 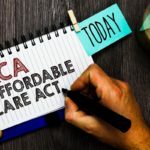 A recent study showed that since the passage of the Affordable Care Act (ACA) in 2010, the median American income has grown at a slower pace than the cost of employer-sponsored health care coverage. Adding to that strain, deductibles are also on the rise. To help keep health insurance premiums lower, more employer plans require deductibles, and the size of those deductibles are higher than ever before. In just the past 10 years, the average deductible for employer-sponsored health insurance has more than doubled. And individual health insurance plans also have rising deductibles. You work hard to remain financially stable, and don’t want an unexpected health care emergency to devastate your savings. As you watch more of your income going to pay for individual health insurance––that won’t even kick in until you have satisfied a higher-than-ever deductible––it’s important to consider preventive measures that can help protect your financial health. Let’s take a look at several options that have helped many Americans successfully prepare for costly health care emergencies. 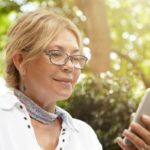 These options include supplemental health insurance, Health Savings Accounts (HSAs) and Flexible Spending Accounts (FSAs)..
With the rise in high deductible plans, more and more Americans are turning to the attractive option of purchasing supplemental health insurance plans to help protect their precious savings. A supplemental insurance plan can be a valuable resource for covering your medical expenses until you have satisfied your high deductible. That is because a supplemental plan is designed to provide you access to insurance benefits with the first dollar of medical expenses you incur. Supplemental insurance plans can even help pay copayments and deductibles. Even after you have met your health insurance deductible and your claim has been paid by your insurance provider, a supplemental insurance plan will still provide you additional cash benefits for medical expenses. Don’t overlook the additional bonus of supplemental insurance plans: their low premiums. By pairing a supplemental insurance plan with your high deductible plan, you can have the benefits you need at a very affordable price. Even a year’s worth of supplemental health insurance premiums can cost just hundreds of dollars, compared to the thousands you might need to bank in an HSA or FSA to cover your deductible and other out-of-pocket medical costs incurred before your high deductible plan’s coverage kicks in. However, not all supplemental plans are created equal. Thus, it’s important to take the time to evaluate your needs and compare them to the benefits offered by the various supplemental plans you are considering. Be sure to review the plan you are considering for a clear definition of what benefits are provided and what, if any, conditions must be met for those benefits to be paid. Is there a waiting period before benefits coverage begins? What injuries or illnesses qualify for coverage? Are there health questions you need to answer when you apply? How long from the time you apply for coverage before benefits are effective? The more you know about your policy, the more confident you can be that you will receive coverage when you need it. In addition to your high deductible plan, does your employer also offer additional policies such as accidental death and dismemberment, or short-term or long-term disability coverage? If so, make sure that the supplemental policies you’re considering aren’t already duplicating benefits you already have. Or, find out from your employer if you can choose a higher level of coverage for those plans. 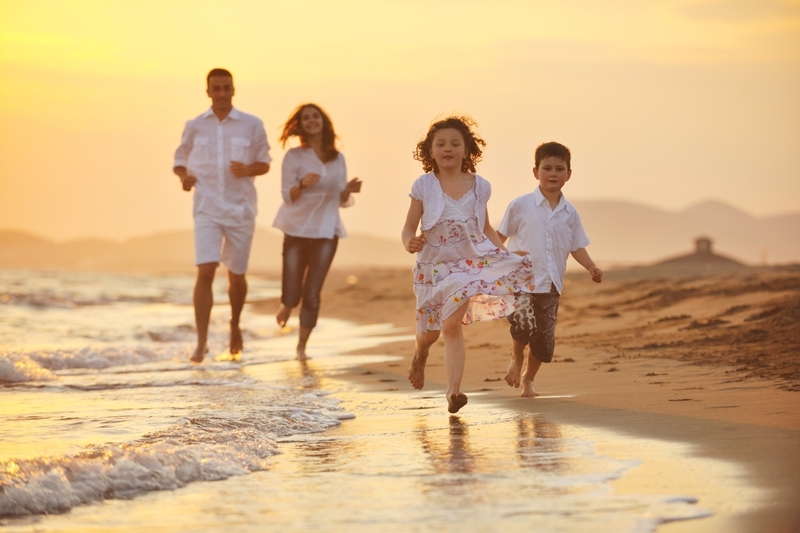 Do You Have a Family That Might Need Supplemental Insurance Coverage? If so, does the supplemental insurance plan provide coverage just for you, or for you and your spouse? Many supplemental policies do not provide critical illness coverage for children. As you research supplemental insurance policies on the market, you may find that many policies offer very narrow coverage. Some provide coverage only for illnesses such as cancer, or simply pay benefits only for accidents or other expenses such as transportation. However, if you are looking for a supplemental insurance plan that provides you a full range of coverage, there’s no need to look further than Pivot Health. That’s because Pivot Health bundles several different types of insurance products into one policy. Accident medical insurance–you receive a set dollar amount of benefits if you’re injured in a covered accident. Critical illness benefits–should you be diagnosed with a covered critical illness, such as cancer, heart attack or stroke, you will receive a set dollar amount of benefits. Daily hospital benefits–you receive cash benefits for any inpatient sickness, up to a certain number of days. Accidental death insurance (similar to a small life insurance policy)—your loved ones will receive a benefit should you perish in a covered accident. Disability insurance from a covered accident. Critical illness coverage for children (this provision is often not found in many other supplemental health insurance plans). While there are many other policies on the market, you would have to buy a series of supplemental plans to obtain the range of coverage that Pivot Health’s plan offers. Discounted vision services. Save between 15%-40% for you and your family on eye exams, glasses and contacts. Your vision is a critical part of your health. With these savings, there’s no reason to delay seeing your vision specialist on a regular basis. A prescription drug card entitling you to savings up to 75% on generic drugs at more than 66,000 pharmacies nationwide. Keep your prescription drug card with you. Or, for added convenience, download coupons right to your smartphone for instant online savings. A health savings account (HSA) can be offered by your employer, or you may establish one on your own through a bank or other financial institution. To participate, you must have a qualified high deductible health insurance plan. With an HSA, you save money on a pre-tax basis to pay for qualified medical costs. Your HSA continues to grow on a tax-free basis, and withdrawals for eligible medical expenses are tax-free. However, if you buy your health insurance on the government exchanges, you may have fewer choices that are HSA-qualified, since the number of insurance companies and plans available have been reduced for 2017 in many areas of the nation. A flexible spending account (FSA) is an employer-sponsored plan. These days, the majority of large employers offer a health care FSA, and nearly 20% of small employers do as well. Similar to the HSA, you put pre-tax dollars into the account, which you then can use through the year to pay for eligible medical expenses on a tax-free basis. Both the HSA and FSA options provide you a regular means of saving money to pay for expenses such as doctor’s office visits, prescriptions, deductibles, co-pays, dental costs and much more. It is important to note that if your employer offers both options, you may only enroll in one plan rather than both. Carefully consider the very important differences between the two plans. One important note about FSAs is that you must carefully consider how much to contribute, since you may lose any funds not used for eligible expenses during the year. While many employers have now implemented a carryover provision, it only allows for up to $500 of unused funds to be carried over to the next year. Am I eligible to participate? You must be enrolled in an employer-sponsored, qualified high-deductible health plan (HDHP) or an individual high deductible health plan that is HSA-qualified. This plan can only be offered by an employer. Check with yours to see if it is offered, and if you meet the eligibility requirements. How much can I contribute? For 2017, you may contribute up to $3,400 for individuals or $6,750 for families. For 2017, you may contribute up to $2,600, applied on an employee-by-employee basis (if you and your spouse are each eligible to participate in an FSA, you may each choose to contribute up to $2,600 per year). Can I change my contribution amount? Yes. You may increase or decrease your contribution at any time during the year. Depends. You may only change your contribution amount at open enrollment time or if you experience a qualifying family status change at any time during the year (marriage, birth/adoption, divorce, etc.). 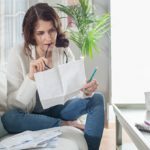 Do I need to show my medical expense receipts to be reimbursed? You don’t need to show your receipts to be reimbursed from your HSA account. However, it is important to save your receipts so that you can sufficiently demonstrate that the reimbursement was indeed paid to cover qualified medical expenses, should the IRS request that information. You typically will need to include your qualified medical expenses receipts with your claim form, in order to be reimbursed. Can I roll over unused funds to the next year? Yes. You may continue to accumulate funds in the account until you need them. Funds will keep growing tax-free in your account. Most FSAs forfeit unused funds at the end of the year, but some plans have a “grace period” or a carryover of small funds from one year to the next. Check with your employer’s specific plan guidelines to verify their provisions. How quickly can I spend the funds in my account? With the HSA, you may only spend money that is actually in your account. At any time during the year you can spend the entire amount you elected to add to your FSA account, even if those funds are not yet deposited into your account. What are tax consequences? HSAs offer a triple tax benefit. Contributions are made with pre-tax dollars, your account earns tax-free interest and your withdrawals for eligible medical expenses are also tax-free. Your contributions are made on a pre-tax basis and your distributions for eligible medical expenses are tax-free. What happens to my account if leave my employer? Your funds “travel” with you. Even if your next employer does not offer an HSA, you may continue accessing your HSA funds for eligible medical expenses until your funds are depleted. Make sure to use your account funds by the time you leave, because in most situations, your FSA expires with your job change. However, check with your employer to see if they offer FSA continuation through COBRA. Even with a high deductible health plan, there’s no reason for you to sacrifice your savings at the first health care emergency you experience. With an HSA, an FSA or a supplemental insurance plan, you have choices for ensuring your financial health and stability––despite the continued rising of health care coverage. And even if you have an HSA or FSA, a supplemental insurance plan can provide you insurance for coverage gaps in your health insurance plan, allowing you to save your HSA or FSA funds for other uses.